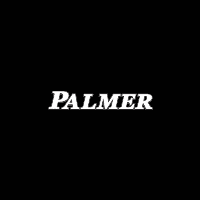 At Palmer Dodge Chrysler Jeep Ram you can find stock of all the latest models. We know people in Canton deserve the best, and we hope you’ll give us the chance to provide you with it. Want to cruise around in a new or used Dodge Chrysler Jeep® vehicle on the roads of Canton? Our online site can help you find the right one for you. No matter what your requirements are, we’re sure we can find a Dodge Chrysler Jeep® vehicle that can handle them. Have you been shopping around Georgia for a pre-owned vehicle? Start and end your search with us and save thousands. With a huge variety of affordable, high-quality vehicles, we are certain that we can locate a used car that suits your tastes. Finding an excellent rate on a car loan near Canton is easy courtesy of the folks at Palmer Dodge Chrysler Jeep Ram. Applying for your vehicle loan can be accomplished using our secure finance application form online. Everyone has a budget, and our people are at your disposal to help you get a loan that fits your situation. Our expert mechanics have years of experience working on Dodge Chrysler Jeep® vehicles and will accurately diagnose your car, truck, SUV or van’s trouble. Our experienced staff will aid you in acquiring even hard-to-find car parts and accessories. Schedule a service appointment today.